Kenko 37mm SGT-2.0x Video Lens is a wide angle zoom lens, can be switched from wide angle to medium range telephoto lens. It is light in weight, can be easily fitted to desired cameras. It is taken as an ideal choice for landscapes, sports, ceremonies and other general photography. Kenko 37mm SGT-2x Video Lens is single-coated optic that boost light transmission to get brighter, sharp images independent of lighting conditions. It provides firm support and easy handling while taking pictures of fast moving objects. Auto and manual focusing mechanism further facilitates precise adjustments according to objects position. It shows high compatibility with compact digital and analogue camcorders having a 37mm filter thread. Kenko 37mm SGT-2x Video Lens greatly expands the zoom feature of your camera such that the wide-angle will double your field of view. Using zoom facility, it is ideally used to get enlarged, detailed images of far away objects. It offers superb performance at very reasonable price tags. 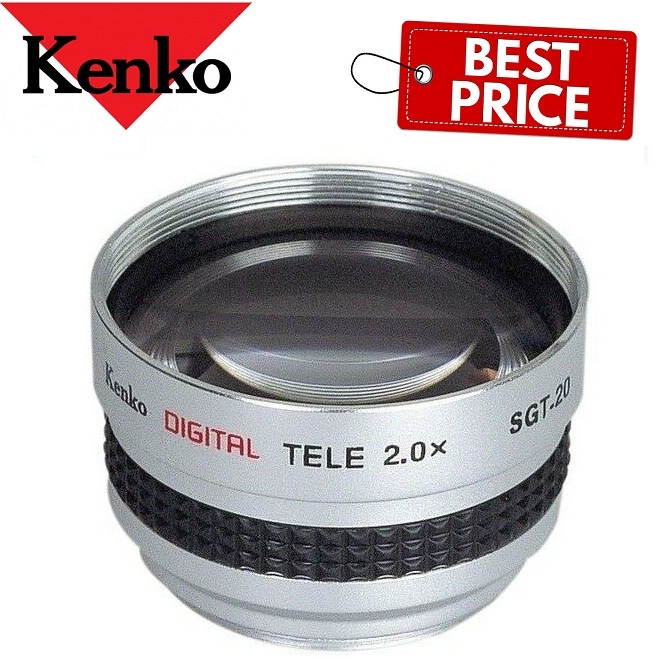 For more information about, Kenko 37mm SGT-2.0X Video Lens website.